MILTON, GA , Sept. 04, 2018 (GLOBE NEWSWIRE) — via NEWMEDIAWIRE – Attis Industries Inc. (NASDAQ: ATIS) (the “Company” or “Attis”), a diversified innovation and technology holding company, today announced it has closed on a new series of Senior Secured Convertible Notes (the “Notes”) with four institutional investors totaling $5,439,000. The proceeds from the new Notes have been used to eliminate $8.8 million of senior secured credit principal while increasing stockholder’s equity by an estimated $3 million. This structure has allowed the Company to build on the improved balance sheet reported in their most recent 10Q filing, as well as enhance the restructuring of the Preferred Stock announced earlier this month. In this transaction, Goldman Sachs has released any and all liens to the Company and has transitioned $2.5 million into common equity of Attis Industries Inc. The Notes have a maturity of 12 months and are structured to give the Company the option to make cash amortization payments to prevent any dilution. 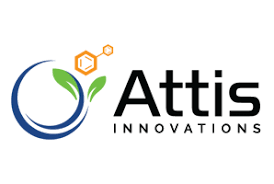 Attis Industries expects to hold a shareholder update conference call by the end of September and will provide the exact date and call information within the next two weeks.